The new model year brings some changes to the 2015 Honda Pilot in Dayton, OH. With a new trim and added standard features Honda looks to improve their crossover SUV before it receives a complete redesign the following year. With its many trims, choices between front wheel and all wheel drives, the Pilot, able to seat 8 full grown adults comfortably, is Honda’s big powerful people mover. One, however, that is also very capable of moving things as well, even adding towing capabilities. 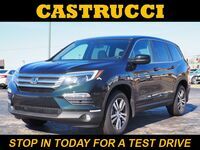 With its powerful engine and multiple trims the 2015 Honda Pilot offers great flexibility for those looking for a capable SUV that can take people and things places and do so comfortably without using too much fuel. Stop by the lot and take one of these impressive machines for a test drive. 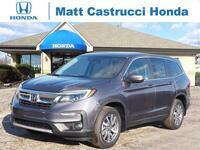 Interested in a 2015 Honda Pilot? 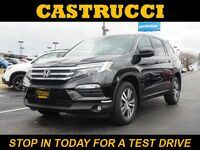 Offering five trims, the LX, EX, SE, EX-L and Touring, the 2015 Honda Pilot in Dayton, OH goes a long way in giving consumers a variety of features to choose from. The newly added trim, the SE gets several standard things such as gray aluminum alloy wheels, a power moonroof, Sirius XM satellite radio, and a DVD rear entertainment system, all comfort features rather than any tinkering under the hood. Otherwise it is a slew of options and features from the base LX model to the luxury Touring which offers everything Honda can add to a vehicle in terms of entertainment and safety. 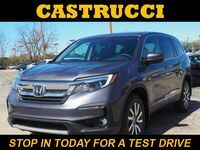 The 2015 Honda Pilot will continue to use the same engine as its predecessor, meaning that the 3.5-liter V6 under the hood will remain unchanged. Capable of producing 250 horsepower and 253 pound-feet of torque when coupled with the Pilots five-speed automatic transmission, the engine can get 18 miles per gallon in the city and 25 on the highway. * Of course, if the Pilot is upgraded to all wheel drive, an available option on all trims, the mileage drops slightly. That power also helps the pilot tow 2,000 pounds for FWD, or 4,500 pounds for AWD.